That is for all these wonderful tips. 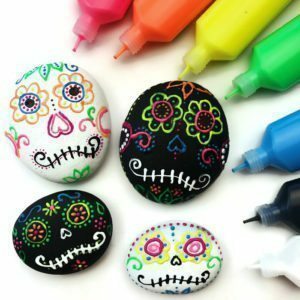 I will try these different media techniques. So glad you liked the ideas and found some inspiration. What kind of sealant for oils?? These are pretty. I did see a facebook photo of yours re: fairy tales. A suggestion: you might want to add people of color to those characters. Hi Mary! Such a great suggestion. 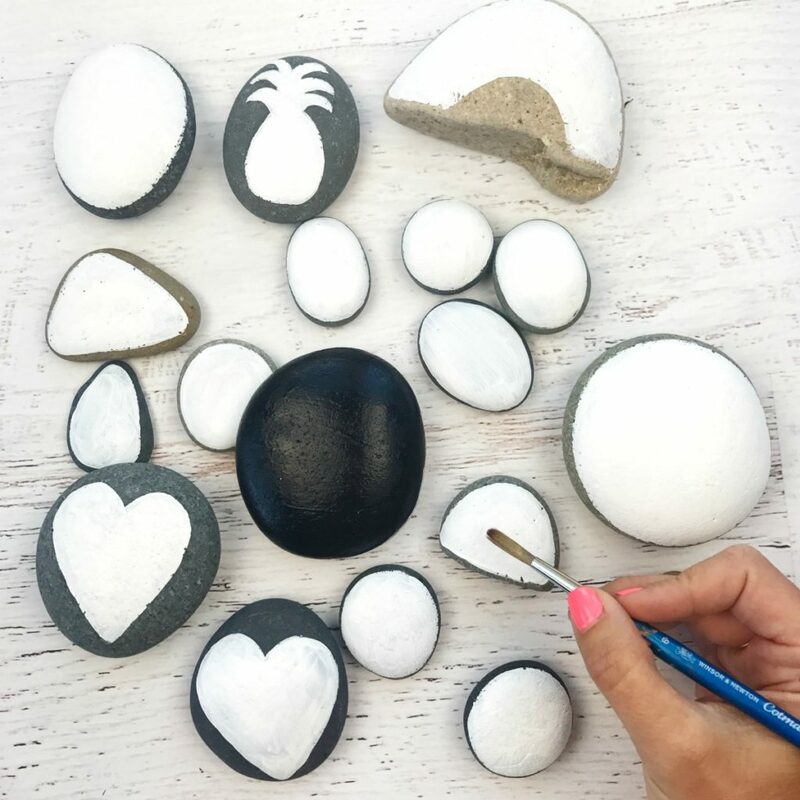 I’ve actually painted lots of rocks over the years filled with all different types of people, backgrounds and races. 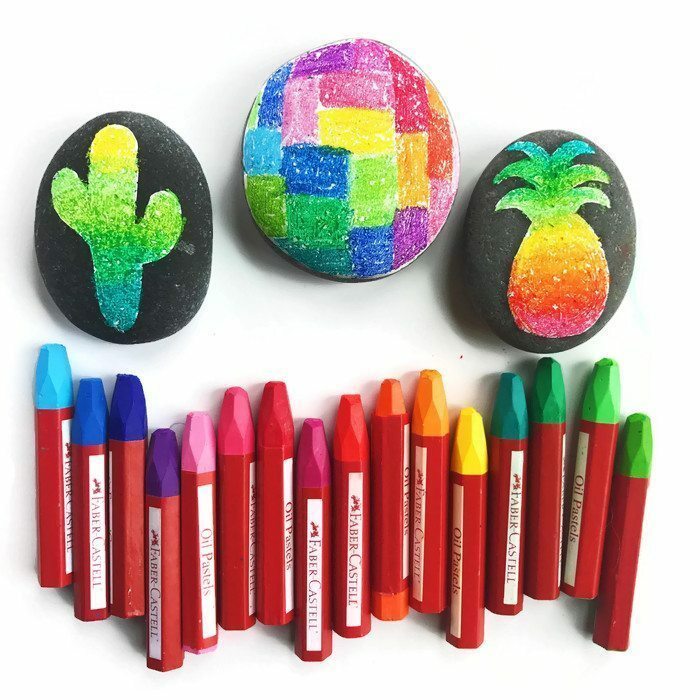 Am I the only one that thinks the gel pens take forever to dry on rocks?? Am I doing something wrong? Lisa…are you drawing right into the rocks? Do they have a waxy coating? 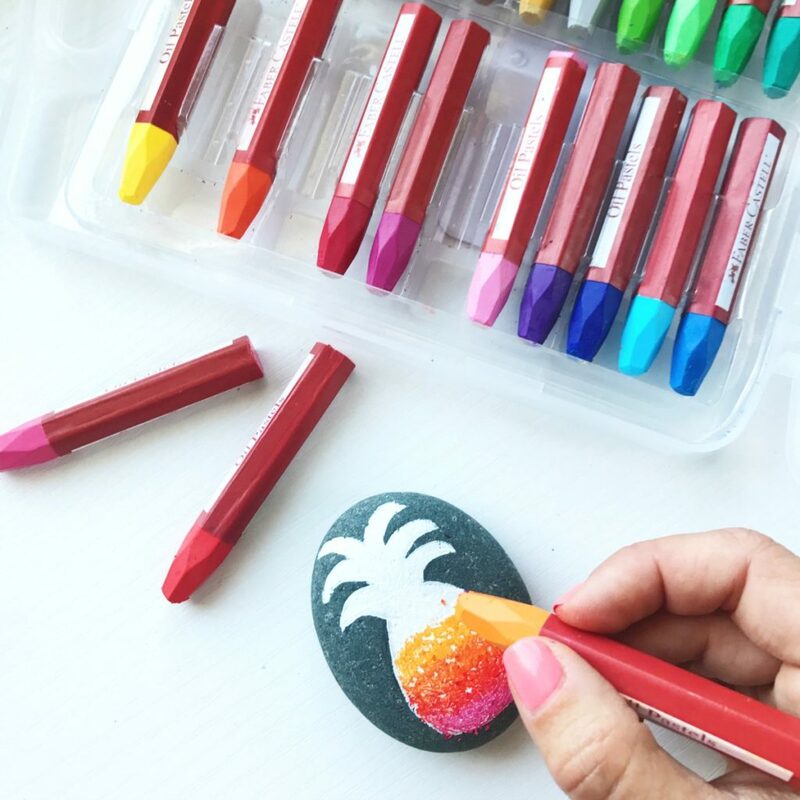 The pens will definitely smear until you seal them. 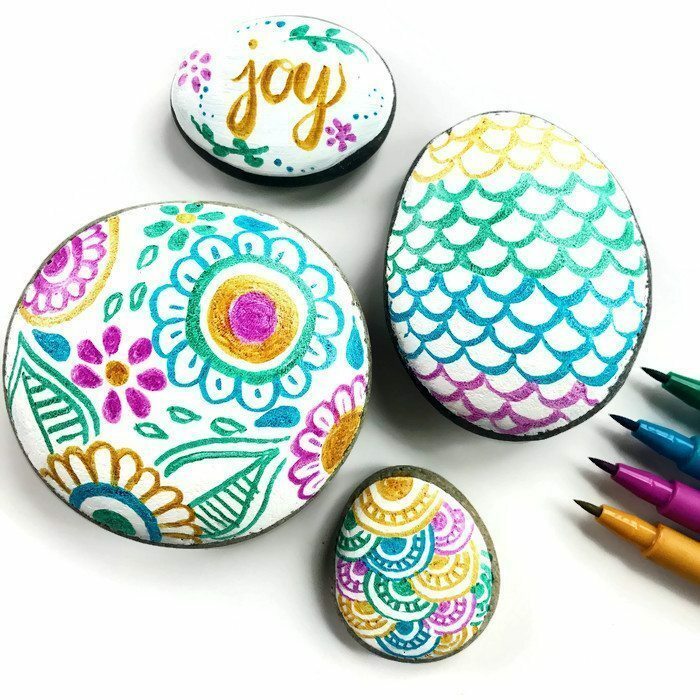 I seal them a few hours after I draw on them. These are just beautiful! You’ve inspired us! 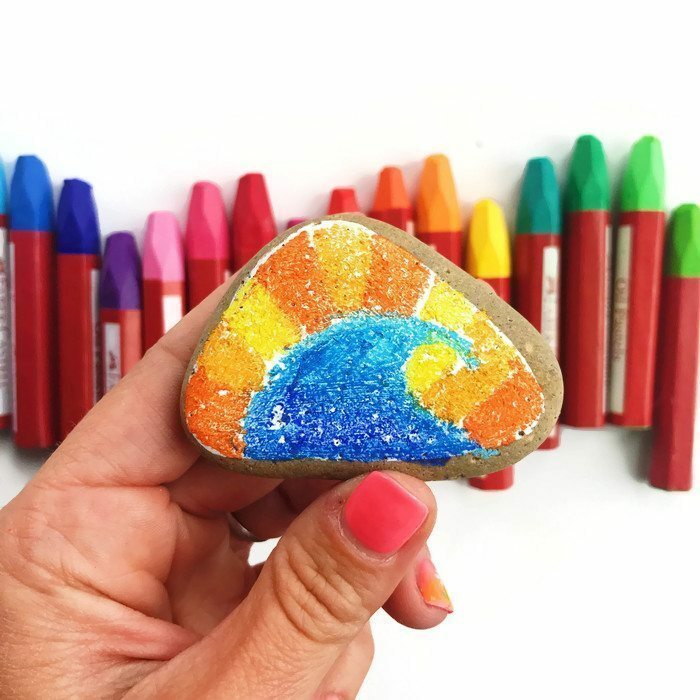 The kids and I have been painting rocks today with a few of these techniques. We even found a local rock hunting group to participate in! Yay! 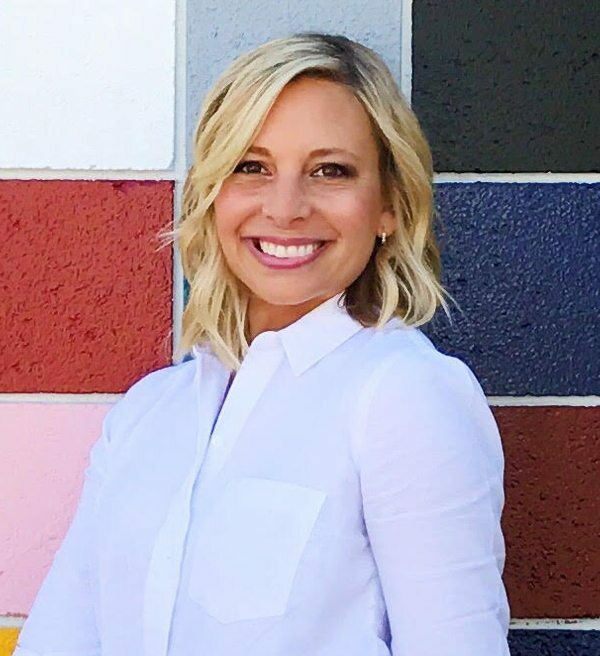 I can’t wait to see what you all created and how fabulous that you found a local group. 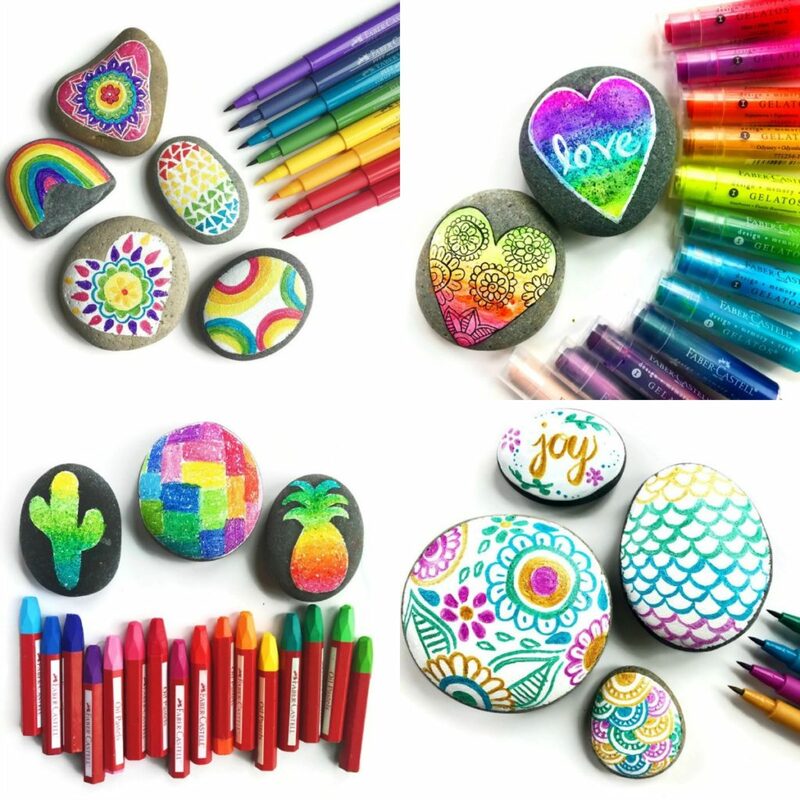 Very glad I found your site…have the rocks…ideas..just needed types of colors to use…great suggestions!!! Yay! So glad you’ve found it helpful :). Thanks I have a web page with a group of artist I feel will love this . Hope it helps with some inspiration :). Where do you buy the pens? And how expensive are they? Hi! All of the links are included in the post. I found everything on Amazon! 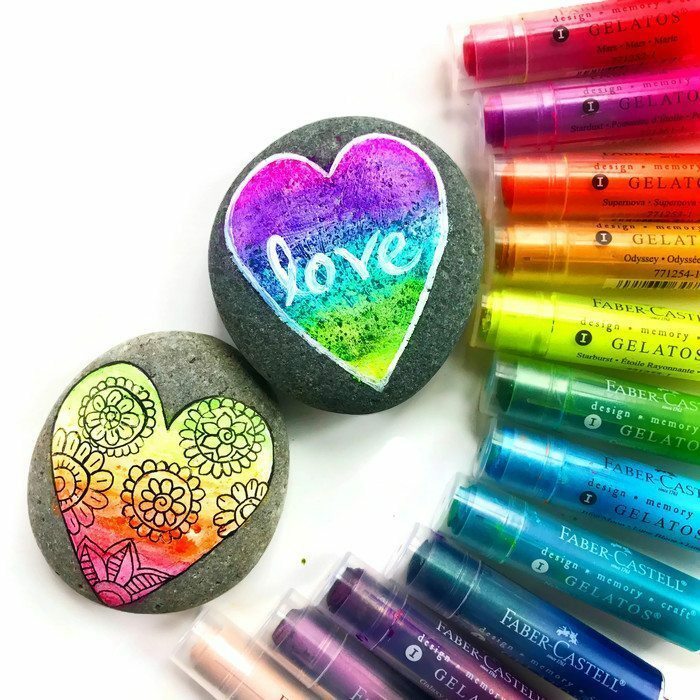 These are AWESOME…what type of sealant do you use? Hi Lisa…I actually put the link to the sealant I use in the post. It’s by Design Masters :). You may have just missed it. It’s in each section. The sealant is actually listed in the post. It’s a spray sealant and I love it! 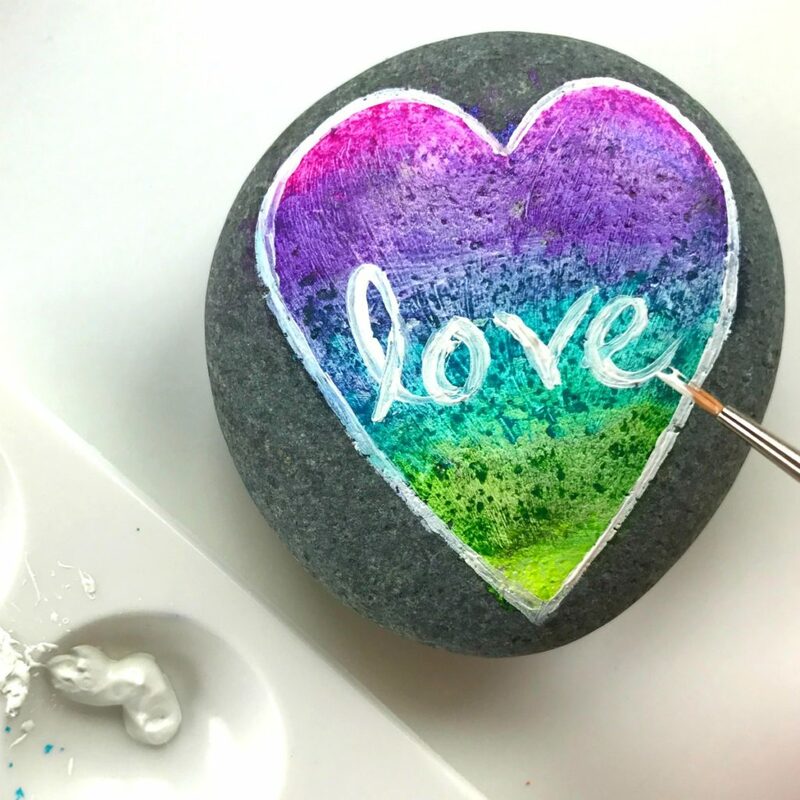 Instead of starting with white acrylic paint, can you use clear? You could try! I haven’t tried it before but if it sets a good base it might work. The oil pastels actually work without any base but they won’t be as bright. Glad you like the ideas. Happy crafting! 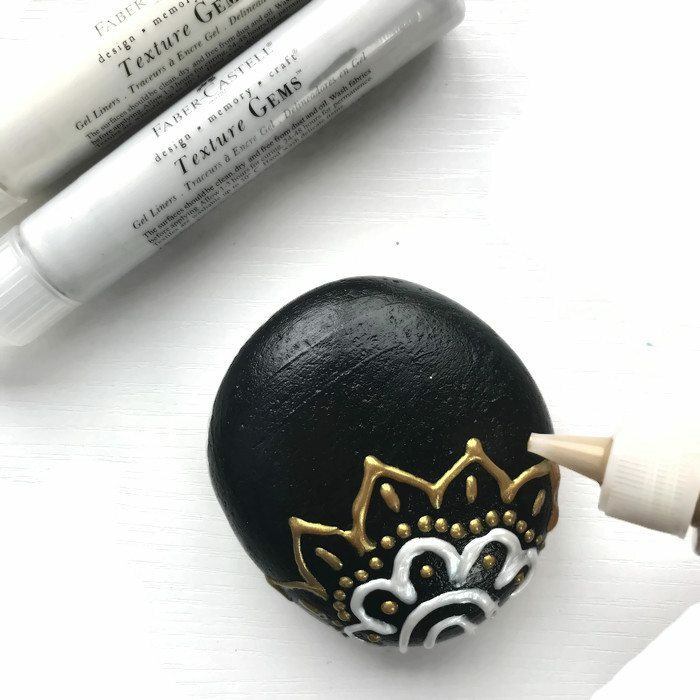 The white acrylic paint seems to adhere ok. Also I bought a brush on sealant – are my designs likely to be ruined if I use it? 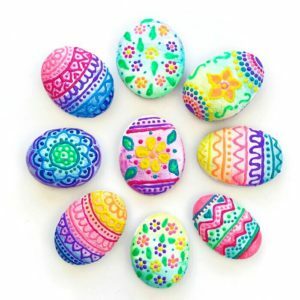 Hi Tammy…I’ve never had luck with glossy rocks. Usually it’s been hard for me to get the paint to show up without being streaky. Also they aren’t great for paint markers. But if they are working for you than go with it!! I have been told in my rock group that if you boil glossy rocks everything works great after that. I bought a bag of them at Dollar Tree to try. Wish me luck. Good luck! You’ll have to let me know how it goes. Love all the ideas and the rocks look amazing. 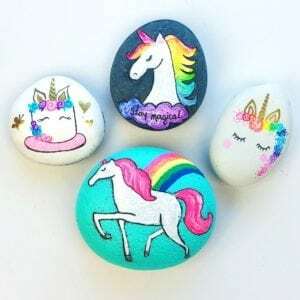 I have been looking for crafts to do with my granddaughter and she LOVES ROCKS it doesn’t matter shinny or not she looks for rocks if there where she’s at at the time and, in Arizona there’s rocks everywhere. Thank you for all your tips. Yay! Love that you like the ideas. My little boy loves rocks too. 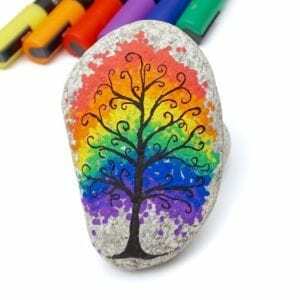 Whether you’re an adult or child this just something magical about rocks. They are nature’s best treasures. Need some advice. 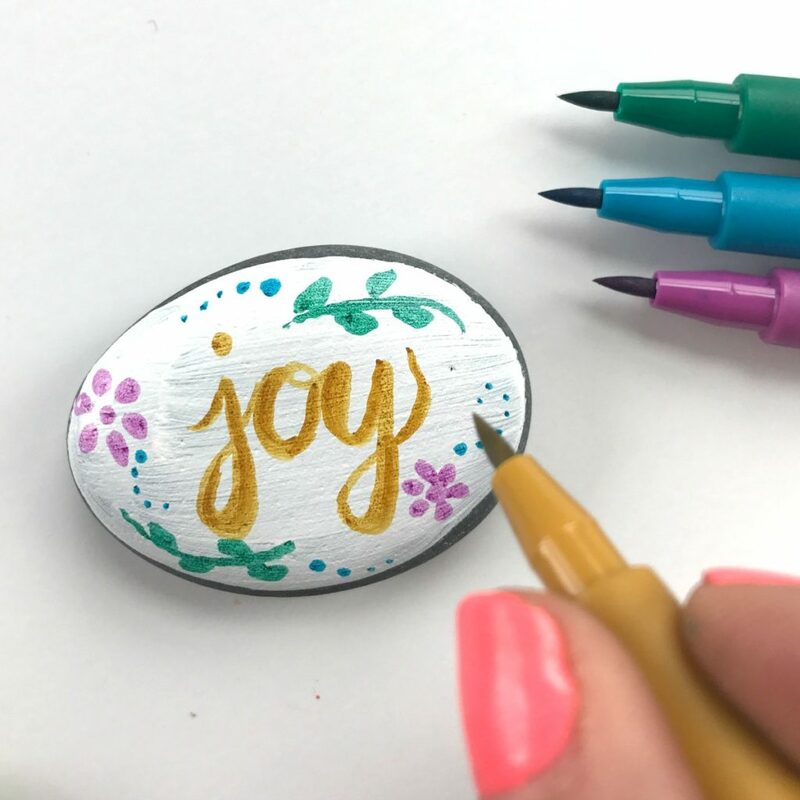 I’ve seen on several rock painting posts that Sharpies and other permanent pens work on rocks. I have had no luck doing that. Don’t know why. Also, I have at least five WHITE Sharpie and other brand paint and permanent ink pens that are supposed to work on “any surface”. Mine all dry out almost immediately. Do you know of a white marker that stays “lubricated”? 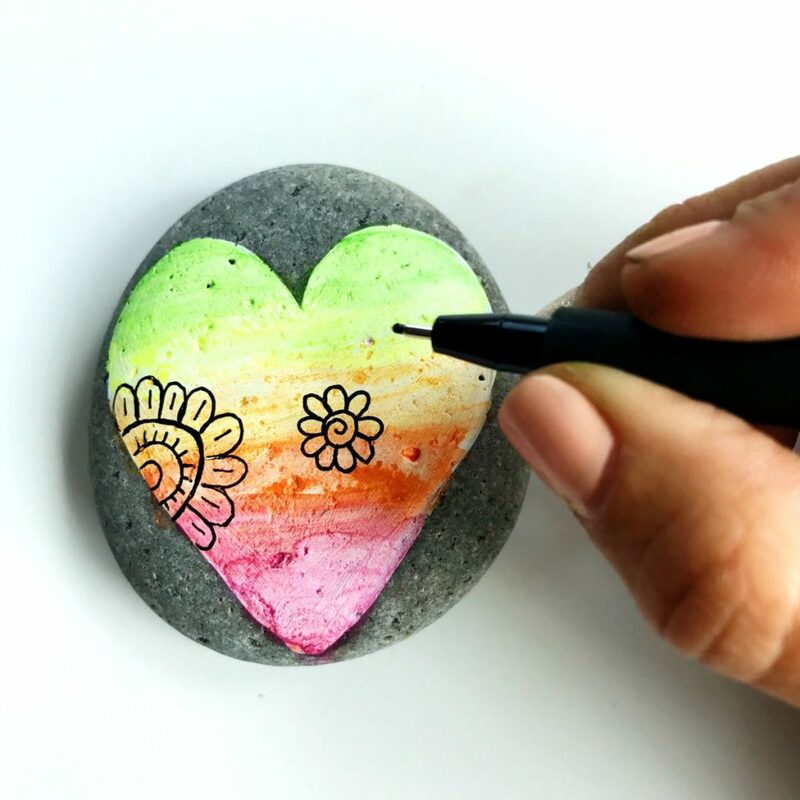 Have you seen my post about doodling on rocks? 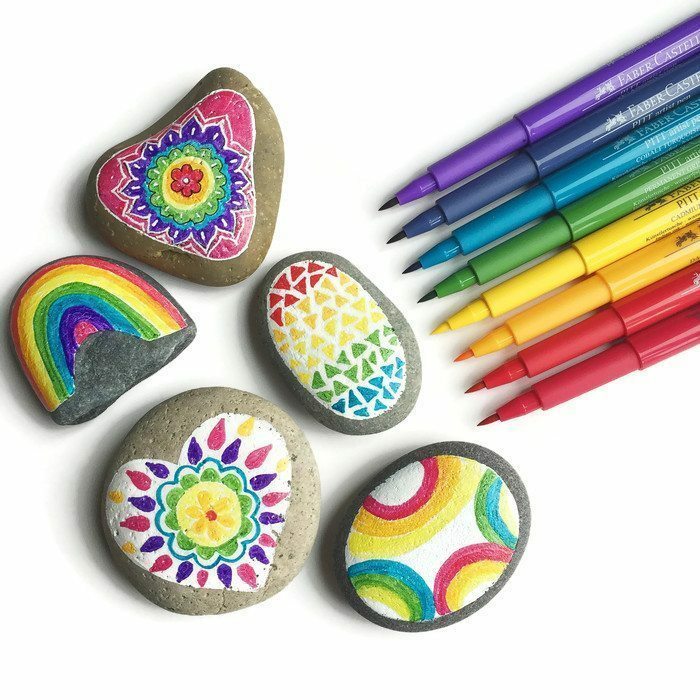 https://colormadehappy.com/2016/03/tips-and-tools-for-drawing-on-rocks/ I have a few favorites. There’s a link to my favorite white gel pen in the post and I also really like my white posca paint marker also listed in the post. Thank much for sharing. Your idea bring happiness to many families like us i bet. 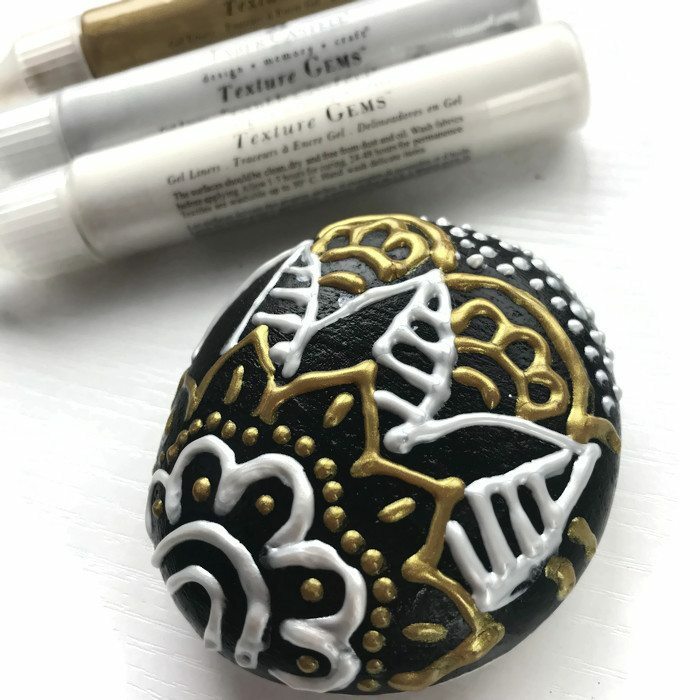 a tip for the effect of a raised look or stained glass effect too..mix glue into acrylic paint and outline your art for stained glass and for the dimension you talked about with the one supply link on amazon..cheaper than 12.99! 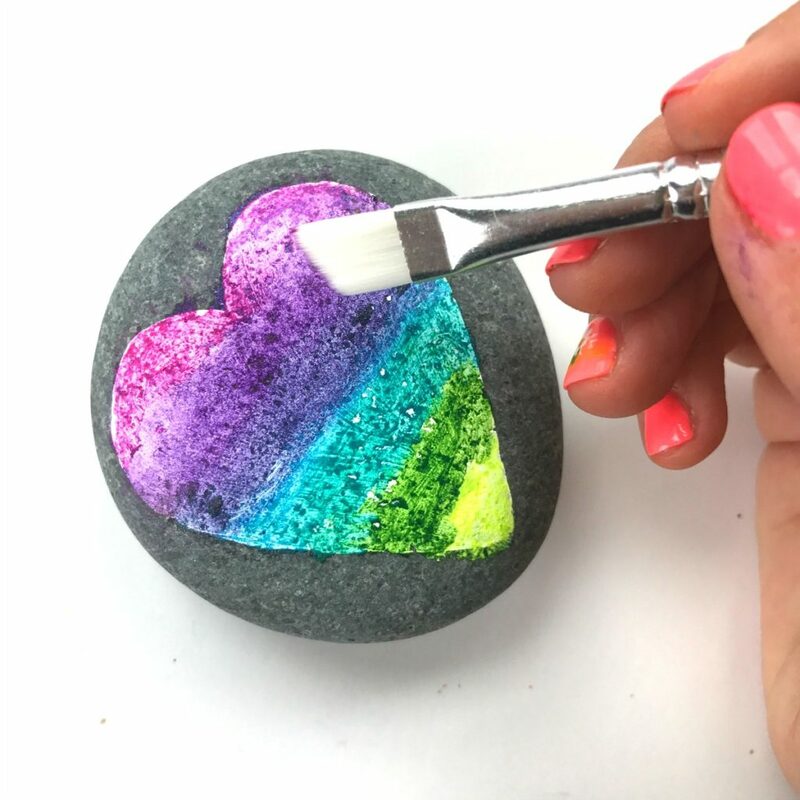 love the comments as learn a few tips like boiling rocks that are glossy!